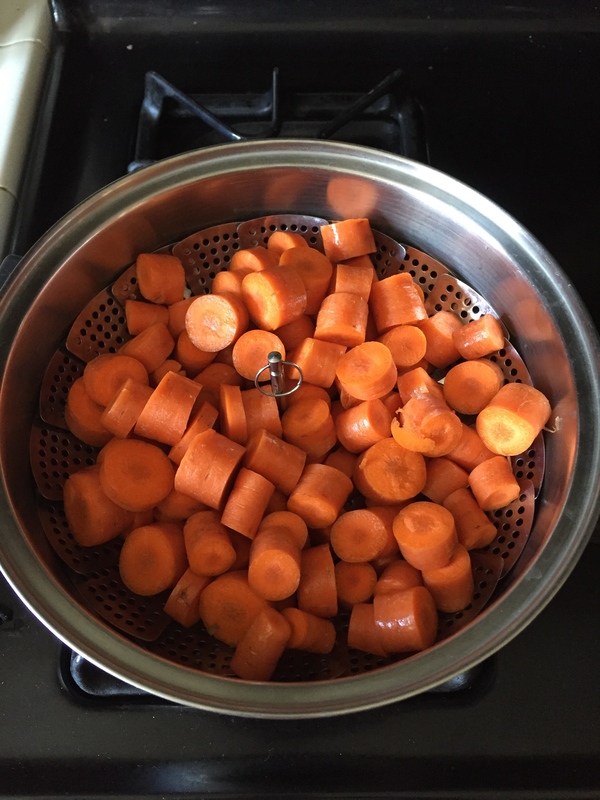 Steam carrots for 10 minutes. 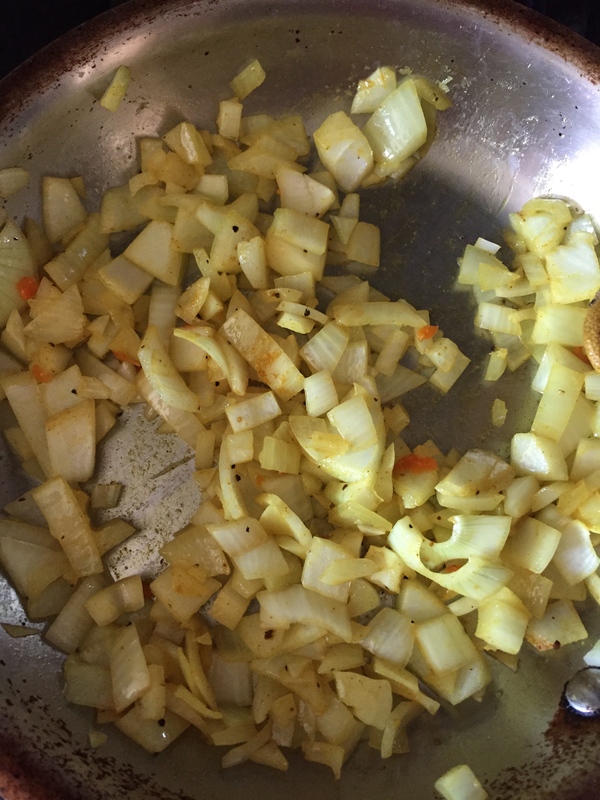 Sauté onions and the spices until golden. Combine all the ingredients in a blender. Alternatively, combine all the ingredients in a pot and use an immersion blender. I like my soup thick (almost like a puree). 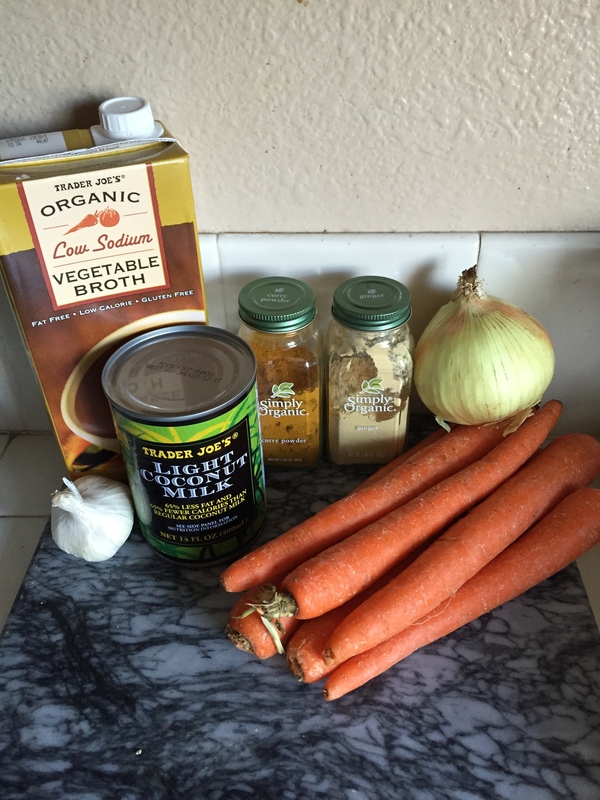 If you want the soup to be thinner add more vegetable broth or water until you reach your desired consistency.